Have I been Duped into Watching the 1990 film Ghost as a Hamlet Derivative? Ghost. Dir. Jerry Zucker. Perf. Patrick Swayze, Demi Moore, and Whoopi Goldberg. 1990. DVD. Somewhere, at some point, I saw the 1990 movie Ghost—you know the one . . . Patrick Swayze, Demi Moore, Whoopi Goldberg?—on a list of Hamlet derivatives. 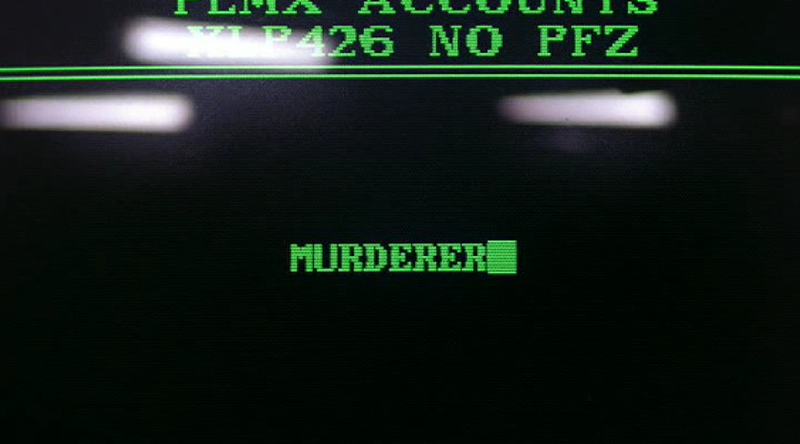 But I put it on a list of films to get to, and I've recently managed to get to it. Shakespeare Geek and I often argue about whether The Lion King counts as a Hamlet derivative or not. My basic answer falls back on the intentional fallacy. Whether the creators intended it to be related to Hamlet or not, it's evident that it's related to Hamlet (though the ways in which it's related are complicated and interesting). I'm not entirely sure I can make that argument about Ghost. So many things just don't fit. So, yes, there will be spoilers ahead. But Ghost was one of the most popular films of 1990, so if you don't know the basic plot by now, you might just want to read on to learn it. Sam (the Patrick Swayze character) and Molly (played by Demi Moore) are sweet on each other and hope to get married. They work together on some pottery in the film's most iconic scene. Same has found some strange incongruencies in the accounts at work. Carl finds out—and the's the guilty, embezzling party. So he hires someone to kill Sam. Sam stays around as a ghost, and figures out Carl's guilt. Carl starts to make the moves on a grief-stricken Molly. Using Oda Mae Brown (played by Whoopi Goldberg), a fake psychic who turns into a real psychic when she hears Sam's voice, Sam figures out a way to get revenge on Carl and to express his love for Molly. To fit this in to the Hamlet narrative, we need to imagine that Sam is Hamlet and Hamlet, Sr., that Molly is Gertrude and Ophelia, and that Carl is Claudius. And I suppose Oda Mae is Horatio or the ghost. There's something there, but it's not absolutely clear. I think Hamlet, Sr. would have gotten a big kick out of being able to do something like that. Yes, Sam isn't particularly impressed by the production. 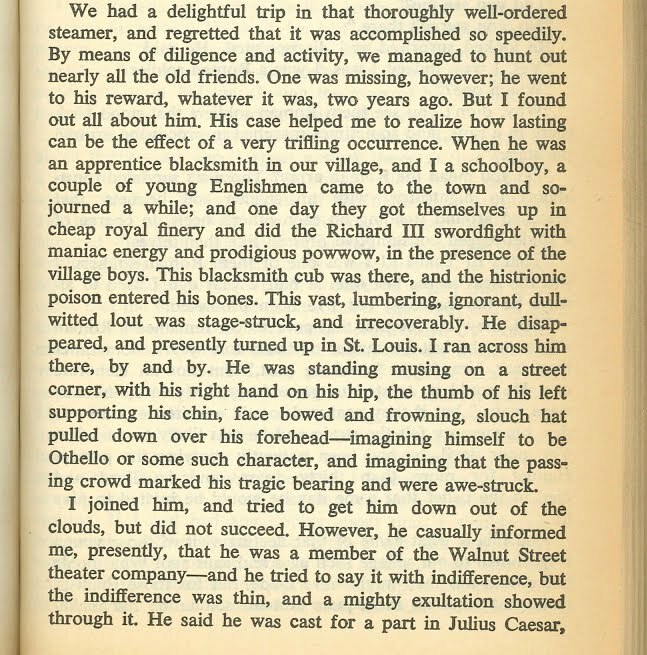 Of course, that's before he became a ghost—perhaps his perspective on Shakespeare changes when he makes that change. What are your thoughts? Have you been told this is a Hamlet derivative? Does that make sense to you, or is it confusing to you like it is to me? Twain, Mark. Life on the Mississippi. New York: Signet Classic, 1961. Shakespeare crops up in both expected and unexpected places constantly. I was recently listening to an audiobook of Life on the Mississippi, Mark Twain's fascinating, semi-autobiographical of growing up on, learning to pilot on, and taking a tour of the Mississippi river. Somehow, I didn't note the Shakespeare in any of my previous trips up and down Life on the Mississippi. Perhaps that's not so rare—there's not all that much there. But what there is makes me wonder if the possibility of a scene like The Duke and the Dauphin in Huckleberry Finn (for which, q.v.) is starting to develop in Twain's mind. 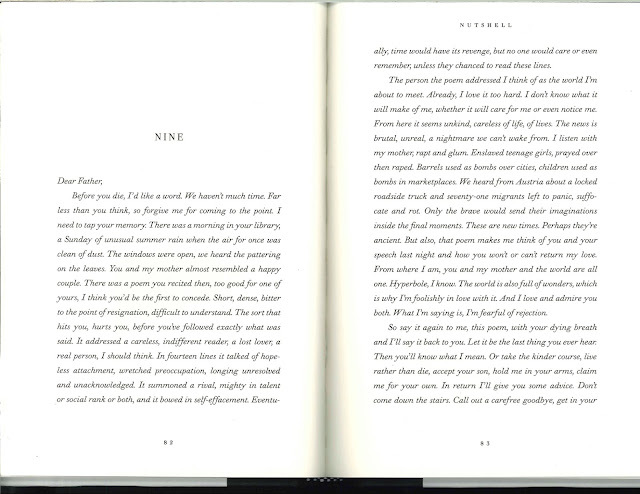 The section comes late in the book (in the edition cited above, it's on pages 287 and 288). Twain tells the story of an apprentice to the blacksmith in (most probably) Hannibal, Missouri. A couple English actors arrived in the town and eventually performed a fight scene from Richard III. That was it for the blacksmith's apprentice. He left the small town to travel to the big city to take up the profession of acting. Sound familiar? In this case, we substitute Hannibal and St. Louis for Stratford and London . . . and the rest of the story differs as well. Christie, Agatha. 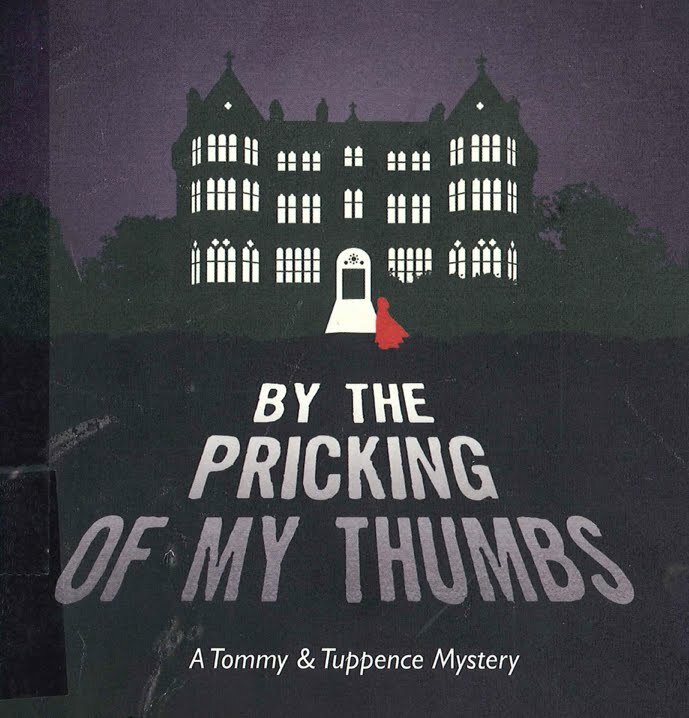 By the Pricking of my Thumbs: A Tommy and Tuppence Mystery. New York: William Morrow, 2012. If you ever feel like Alice and want to jump down a rabbit hole, start browsing and / or reading your way through this list of works that take their titles from Shakespeare quotes. The works may or may not have anything else to do with Shakespeare–they may simply be parasitical works that find a nifty title in a Shakespeare play. 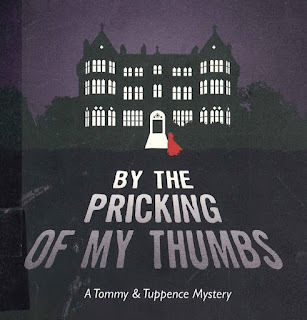 Agatha Christie's By the Pricking of my Thumbs is along those lines—there's not much in the way of Shakespeare in it . . . and what there is is misquoted. 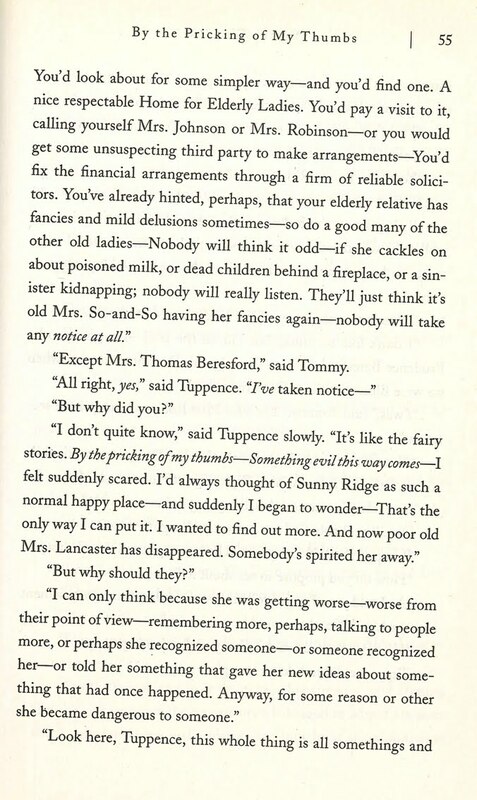 The novel starts Christie's Tommy and Tuppence—a pair she used for more adventure / spy / thriller types of mysteries. 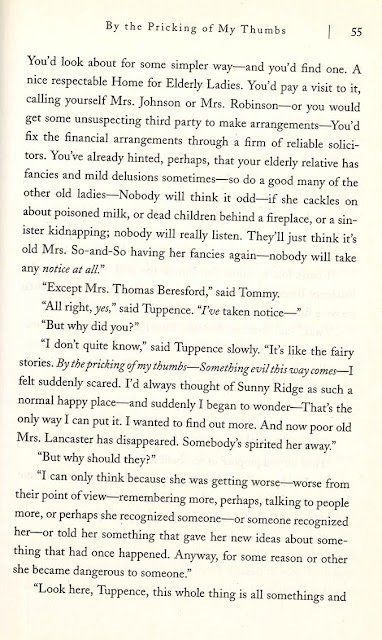 A little way in, Tuppence tries to explain why she thinks there's something odd happening at the nursing home. She says, "I don't quite know . . . . It's like the fairy stories. By the pricking of my thumbs—Something evil this way comes" (55). "Evil" is a fairly common substitution in that quote, but "wicked" is the word Shakespeare used. 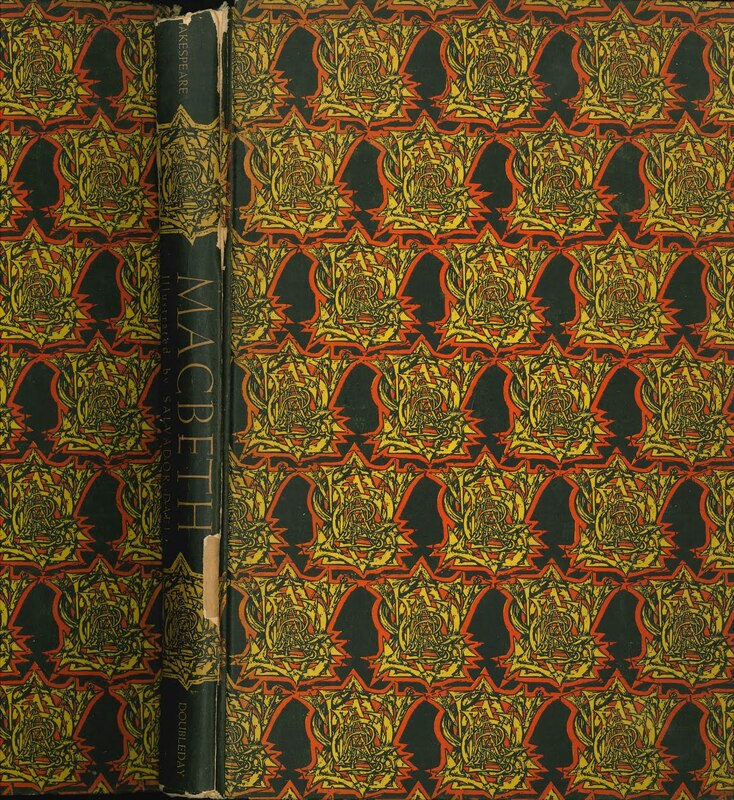 In this case, it's not a question of a difference between a quarto and the folio editions—no quarto of Macbeth exists. And Macbeth is not quite a fairy story. All the same, let's let Dame Agatha put the misquoted line in the mouth of her character. And I'll give you the rest of the context of the quote as well. Enjoy! 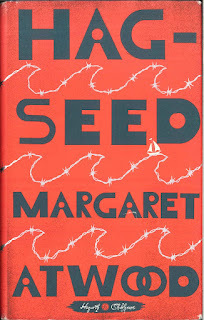 Atwood, Margaret. Hag-Seed: The Tempest Retold. London: Hogarth Shakespeare 2016. The Hogarth Shakespeare series has often been disappointing. But Hag-Seed does it just right. Atwood gives us a "mirror novel"—a novel about a group of actors putting on a play. But it's more than that. She weaves a re-imagined Tempest plot into the production of The Tempest. 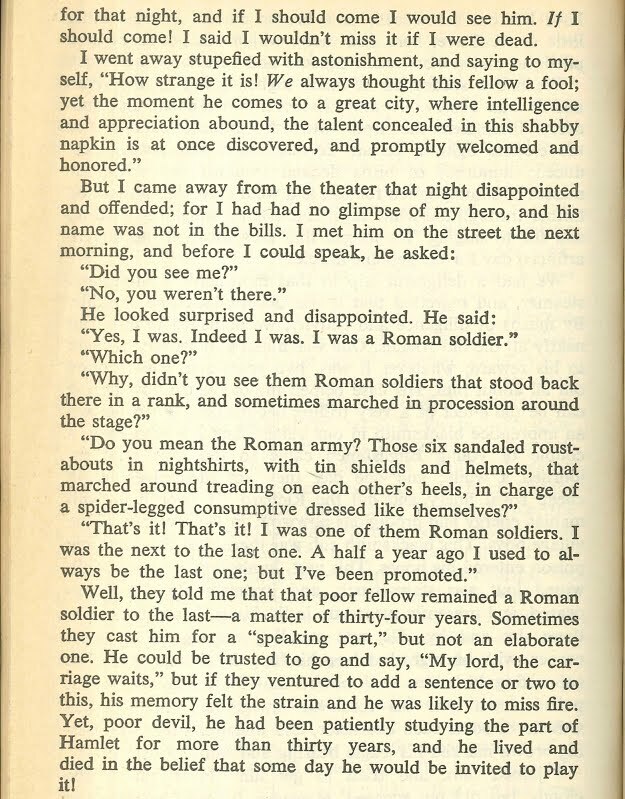 In the novel, Felix Phillips finds himself ousted from his position at the theatre where he has basically been king. He moves into something of an exile, taking on a new name and plotting his potential revenge. Whether it's part of his revenge or not, he takes up a position directing Shakespeare plays at a nearby penitentiary. I was able to check this out from my library in electronic form—let me use that to do something I haven't done before. 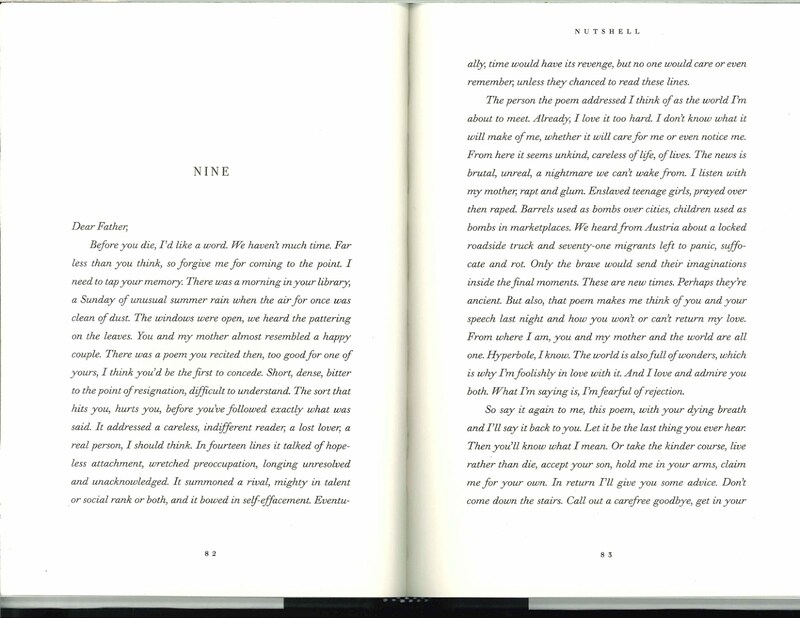 It's something of a live-tweet encounter with the novel. I am very impressed by Atwood's careful and intriguing use of The Tempest in her creation of this novel. Shakespeare, William. Macbeth. Illus. 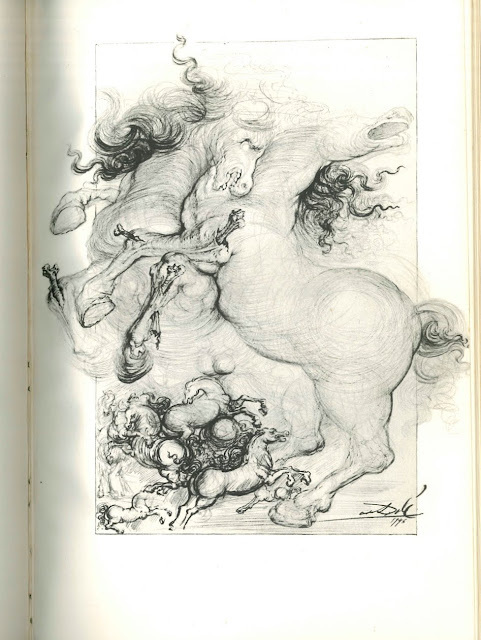 Salvador Dali. Garden City: Doubleday, 1946. As you might expect, I have a fairly-large collection of Shakespeare books. I have large scholarly tomes and children's retellings, modern Shakespearean fiction and Shakespeare biographies, critical editions of the plays and books on Shakespeare films. 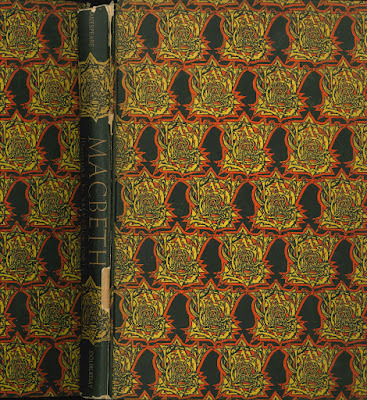 But I don't have much that would count as rare or valuable—except one book: The first edition of the Macbeth illustrated by Salvador Dali. It's not in great condition, and it doesn't have the slipcase that originally accompanied it, but I picked it up at a bargain rate, and perhaps it will appreciate in value. If it doesn't, that's fine—that's not the point. The point is that I will grow in my appreciation of it. I don't dip into it too often, but my eye fell on it (insert King Lear joke here) as I was glancing over my shelves, and I decided to glance through it and give it a write-up here. 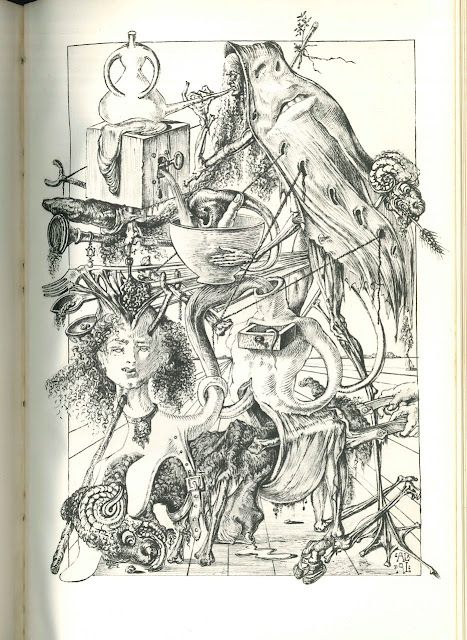 The illustrations are wild, interesting, and disturbing. They do seem to fit the play pretty well. McEwan, Ian. Nutshell: A Novel. New York: Doubleday, 2016. Whole handfuls of Hamlets have filled bookshelves and DVD racks around the world. There's even a collective noun for a bunch of Hamlets. It's "a vengeance of Hamlets" for those of you keeping score (for which, q.v.). Productions of and retellings of Hamlet fill every genre out there: tragedy, comedy, history, pastoral, pastoral-comical, historical-pastoral, tragical-historical, tragical-comical-historical-pastoral, scene individable, or poem unlimited. There are male Hamlets and female Hamlets, truly insane Hamlets and cagey Hamlets, skeptical Hamlets and religious Hamlets, old Hamlets and young Hamlets. 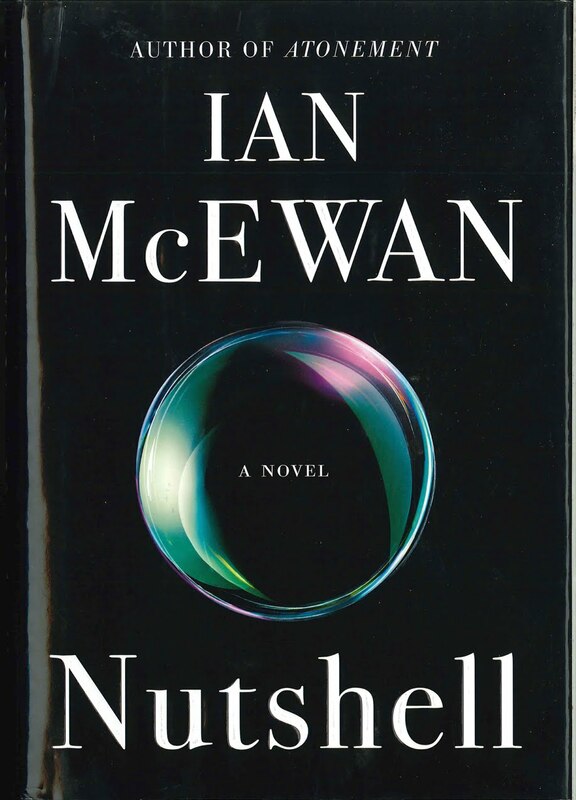 Speaking of young Hamlets, Ian McEwan retells the story of Hamlet from a record-breakingly young Hamlet. His Hamlet has not yet been born—though he's very nearly ready to do so. The epigraph for the book is, perhaps unsurprisingly, from Hamlet: "Oh, God—I could be bounded in a nutshell, and count myself a king of infinite space" (II.ii.254-55). That's our narrator—bounded in the womb, he thinks and plans and schemes . . . but cannot act—or can he? I've done some preliminary searching to see if anyone has taken a stance on just which Shakespeare sonnet Hamlet alludes to, but I'm not finding anything definitive. It does sound like an awful lot of them, but I wonder if it's Sonnet 74 ("But be contented: when that fell arrest / Without all bail shall carry me away . . ."). If you have another suggestion, please leave a comment! The novel may not become a mainstay of my modern Shakespearean fiction class, but it's important to know and pretty amusing.